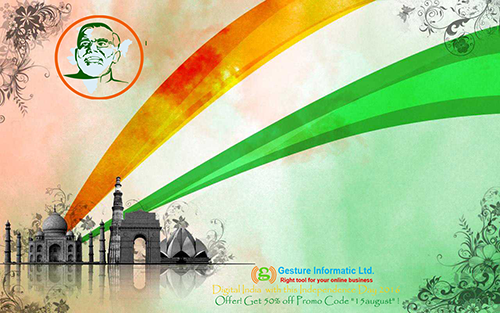 Digital India with this Independence Day 2016 offer! Get 50% off Promo Code "15august" ! Each daily discount goes with a unique promo code valid 24 hours for IST time zone.